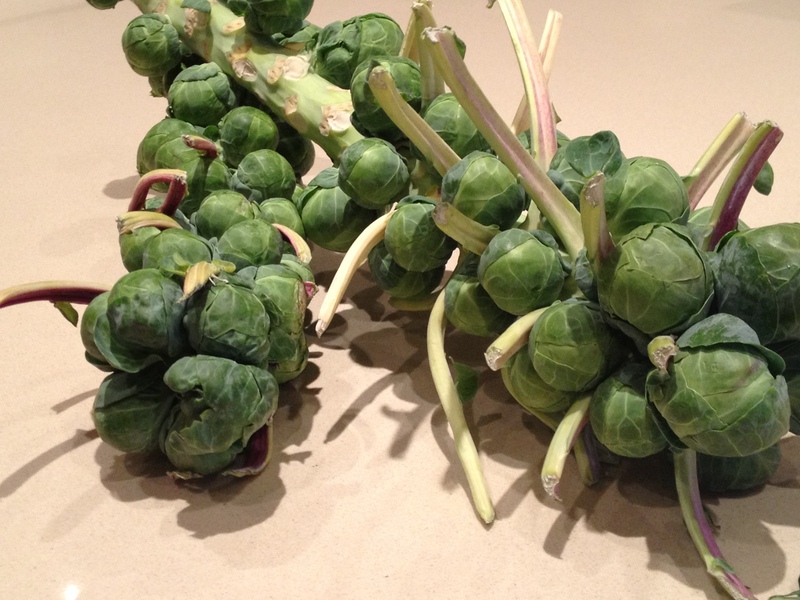 Brussels sprouts: Forget those repulsive watery orbs your grandmother plopped on your plate and give her a taste of your medicine this Thanksgiving – trust us, she’ll thank you. 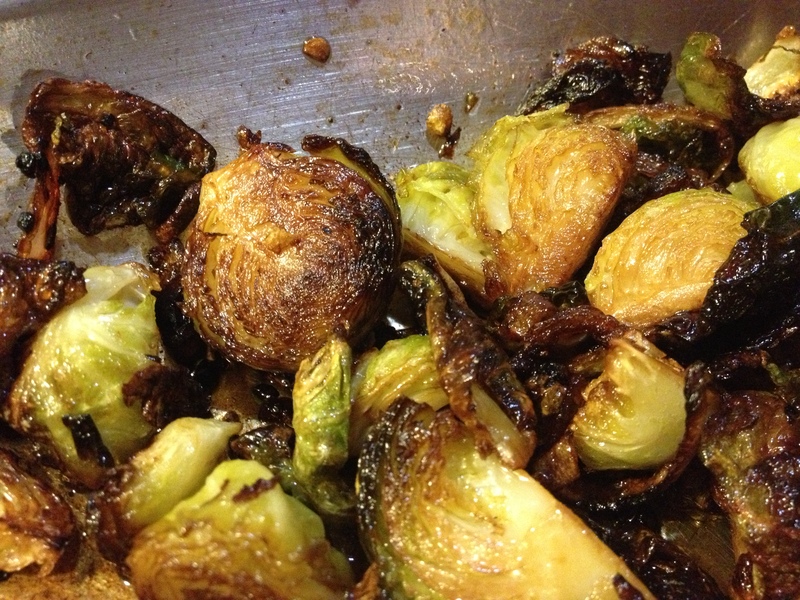 These sprouts are anything but mushy – pan-fried in olive oil, the leaves become brown and crispy, while the center remains tender and juicy. Simmered in apple cider vinegar and topped with chopped walnuts, this side dish is a great accompaniment to Thanksgiving turkey and stuffing or Simple Roast Chicken. 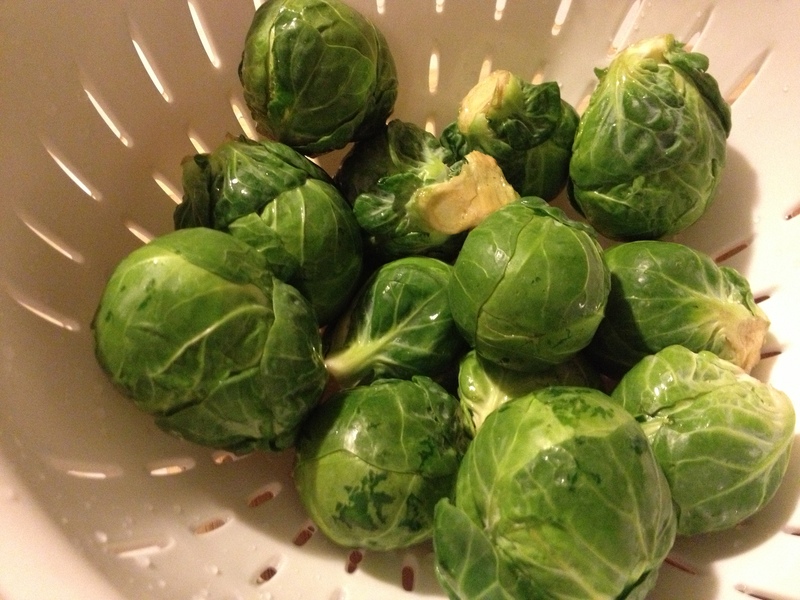 1) Pluck sprouts from stalk and transfer to a colander, rinse under warm water and drain, pat dry any remaining liquid with paper towels. 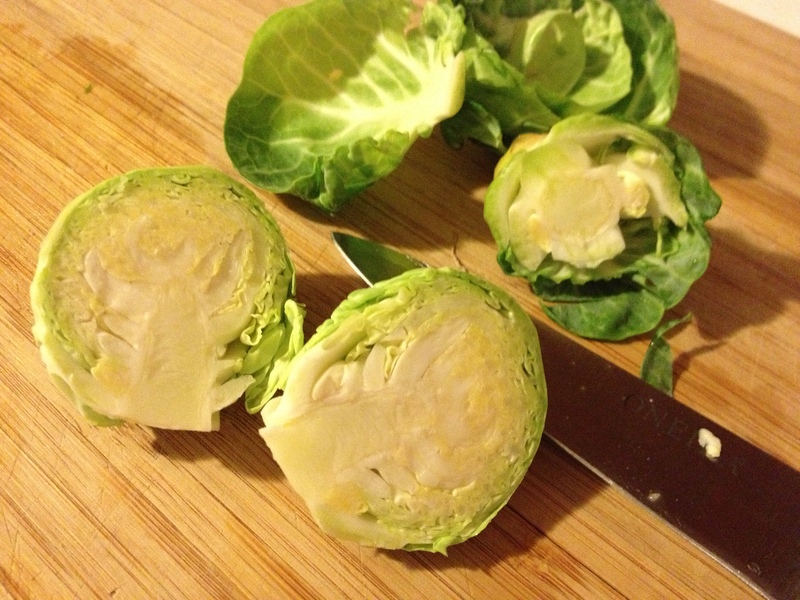 Working one sprout at a time, slice off base and remove outer leaves, then quarter (or half if you prefer bigger slices). 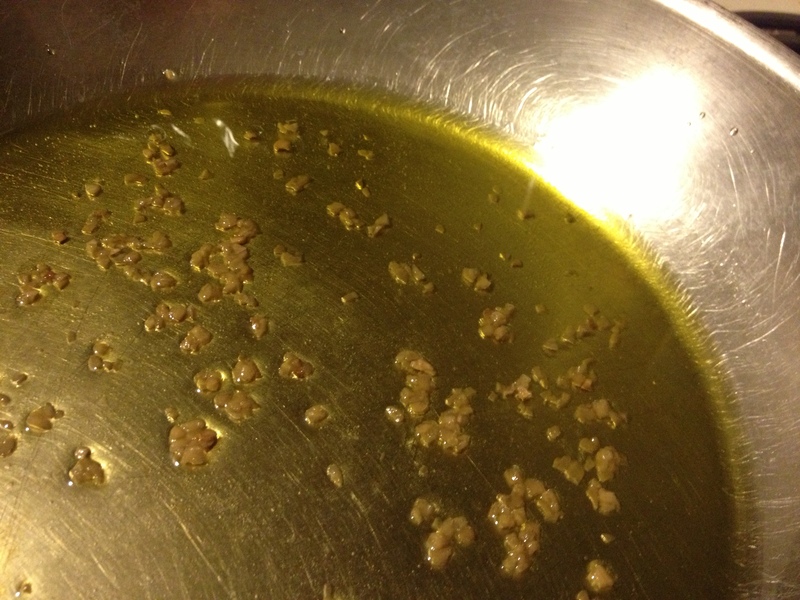 2) Add oil to rimmed skillet and heat over medium heat until oil begins to simmer. Add garlic, cooking until fragrant and golden brown, about 3 minutes. 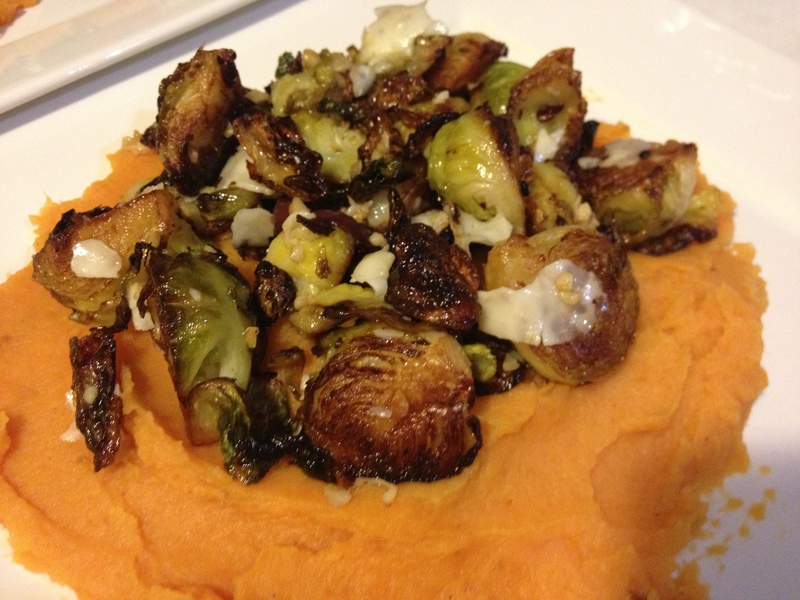 Stir in onion and cook until soft, stirring often ensuring the onion does not burn, about 5 minutes. 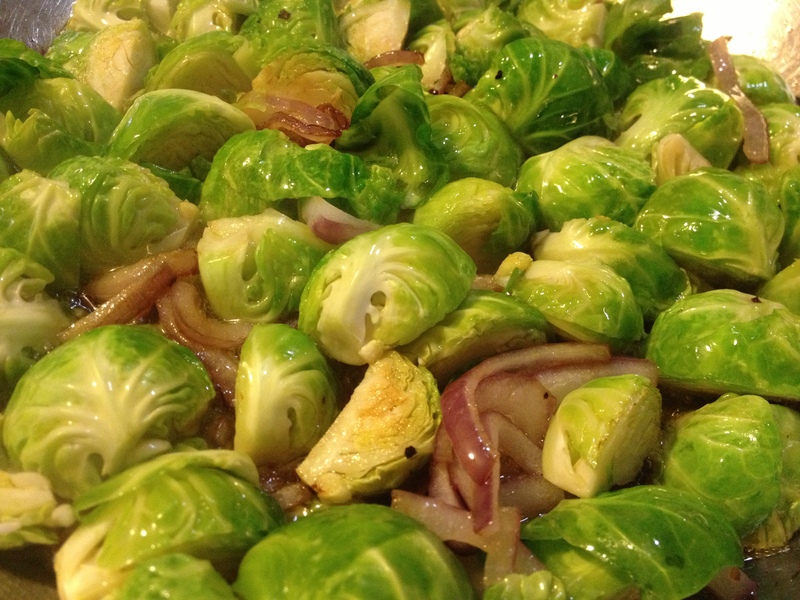 3) Increase heat to medium-high, add cider vinegar and sprouts, stirring to coat with liquid. 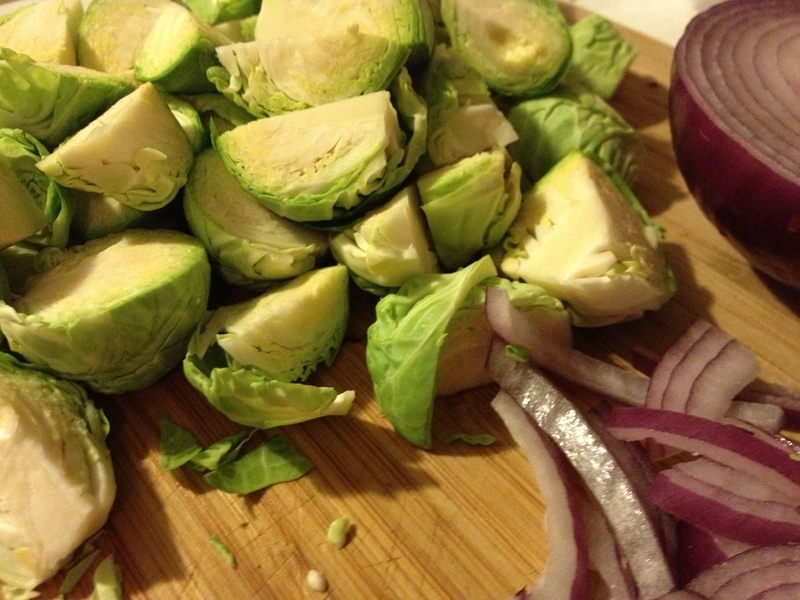 Cook until the inside of sprouts turns golden brown, about 5 to 7 minutes, stir to turn over and cook other side of sprouts, another 5 to 7 minutes. 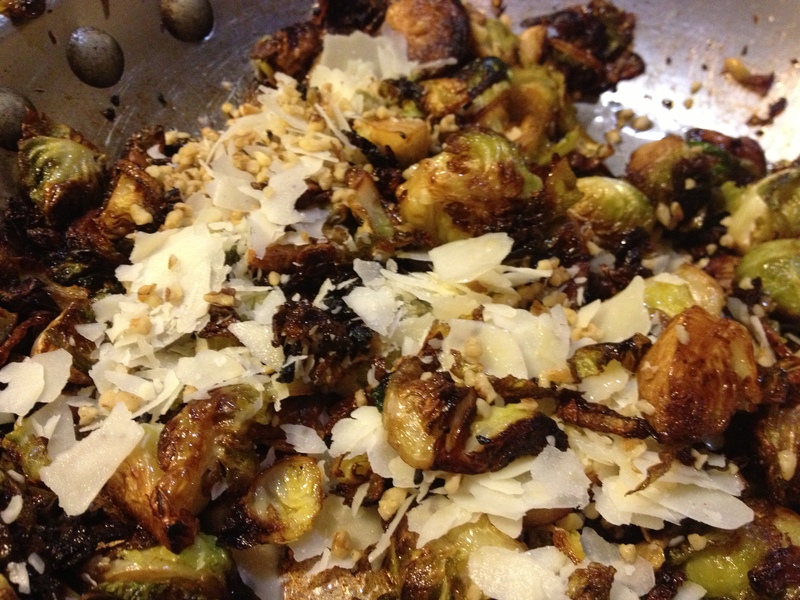 4) Stir in salt, black pepper, nutmeg, walnuts, and Asiago. 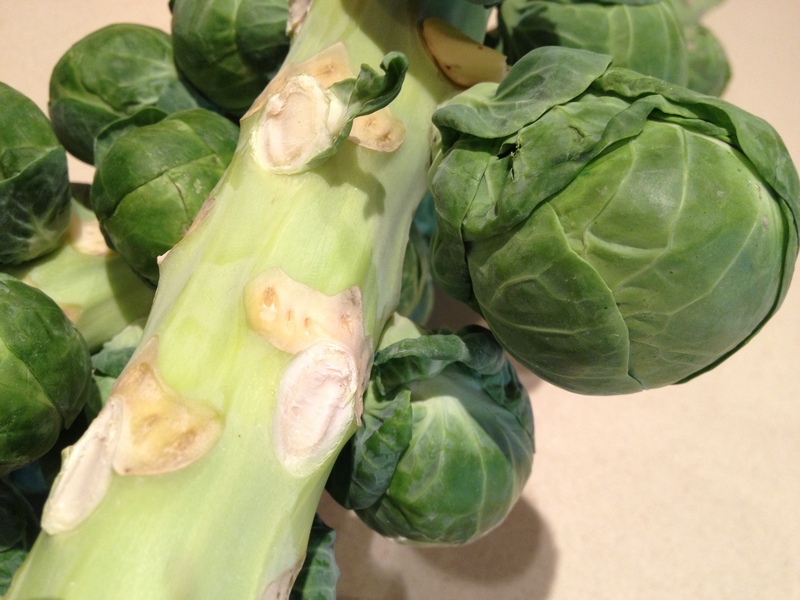 Spritz with lemon – do not douse, but squeeze evenly across sprouts (about 1 1/2 seconds).